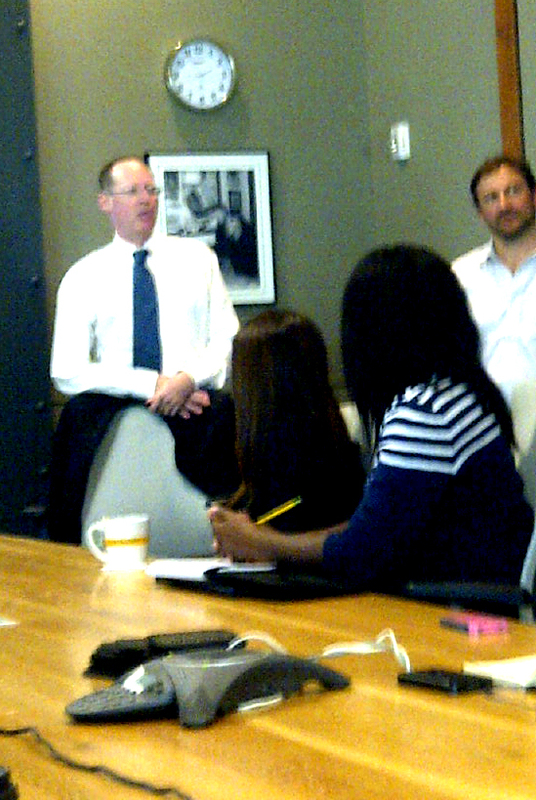 (Community Matters) Great to see Dr. Paul Farmer again and hear, “An Update from the Field.” LIVESTRONG and Partners in Health are partners in the delivery of cancer treatment abroad. I consider Paul a hero, a man who thinks expansively & constructively, is committed to others, and who everyday makes this world a better place to live – notes from a August 2011 visit. Catastrophic illness is often the tipping point from poverty to destitution. Stigma is a barrier related to barriers preventing access to treatment. NGOs should be working w/ public health authorities, not against them. Soon it will be possible to cure people of chronic Hepatitis C.
He cited Treatment Action Group (TAG) as a model of organization and advocacy – citing them as more knowledgeable about AIDS/HIV than most infectious disease experts. Urged other advocates to not argue against any existing levels of funding but for more. Appreciate Andy Miller, Doug Ulman, & Morgan Binswanger inviting me to join the presentation. Pleased to see so many LIVESTRONG friends as well as Lynn Meredith, Bob Wynn, Spencer Hayes and my godson, Austin Knaplund.